CENTRAL ANNOUNCES EAGLE PRIDE DAY!!!! 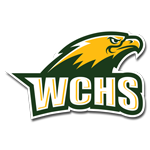 EAGLE PRIDE DAY AUGUST 13TH 9AM-2PM Calling all Wilkes Central Eagle Athletes, Parents, Coaches, Alumni, and Friends to come out and…. SHOW YOUR EAGLE PRIDE!! WE PLAN TO DO: ? PAINTING ? WEED EATING ? FACILITY CLEAN UP ? FACILITY CLEAN OUT ? MULCHING ? GENERAL MAINTENANCE PLEASE BRING YOUR WEED EATER, PAINT BRUSH, AND TOOL BOX (IF YOU HAVE ONE). WE WILL PROVIDE THE GAS, PAINT, AND OTHER MATERIALS NEEDED. LUNCH WILL BE PROVIDED. LET’S TAKE CARE OF THE NEST!!!! SEE YOU ON THE 13TH! !